Gad Saad (/ɡæd sæd/; born October 13, 1964) is a Lebanese-Canadian evolutionary behavioural scientist at the John Molson School of Business (Concordia University, Montreal, Quebec, Canada) who is known for applying evolutionary psychology to marketing and consumer behaviour. He holds the Concordia University Research Chair in Evolutionary Behavioural Sciences and Darwinian Consumption (2008–2018) and has a blog at Psychology Today titled Homo Consumericus. 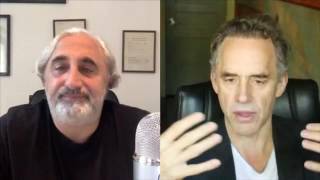 The two Canadian professors discuss Canadian social justice politics, how to address problems in your life and how we resolve our collecive issues as a society. This is a great introduction to these two titans of thought. Part 2. 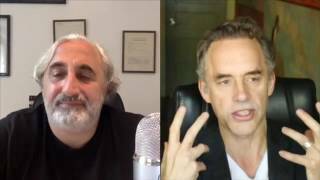 The two Canadian professors discuss everything from Canadian social justice politics, how to address problems in your life and how we resolve our collecive issues as a society. This is a great introduction to the two titans of thought. Part 1. 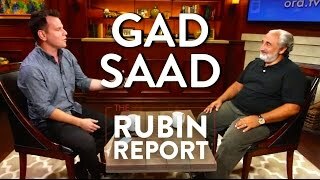 Gad Saad and Dave Rubin discuss Sam Harris, atheism, political correctness, free speech and more.